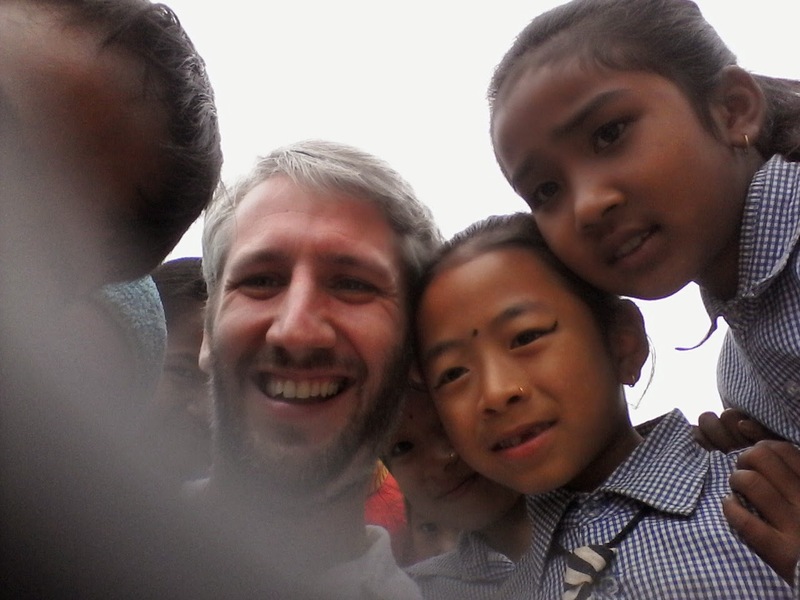 .... Dan In Nepal ...: My first week in Nepal - blown away! My first week in Nepal - blown away! I arrived in Nepal with Barbara on Tuesday 7th October, where we were met at the airport by a former Manisha volunteer, Bhuwan, who gave us a very warm welcome and helped us to find our hotel. We spent the next few days shopping for resources to take out to the schools and once again Bhuwan`s help was absolutely indispensable. Without him I'm sure we'd still be looking for the first shop we wanted to visit, and paying far higher prices everywhere as well! After a few days in Kathmandu we took the bus to Tansen, (heavy with bags of resources!) which will be our base while in schools. I was prepared for the 10 hour bus journey with Kindle, music and films, but needed none of them as I spent to entire journey glued to the window taking in the magnificent views, and the goings on in the villages we passed through. Arriving in Tansen, we again received an incredible welcome, first from Saran, our schools coordinator, at the bus station, then from the Bashyal family at Horizon Homestay, our rather excellent home in Tansen. Today (Monday 13th) we made our first school visit, to Basanta Bagnas school, just a two mile walk away. 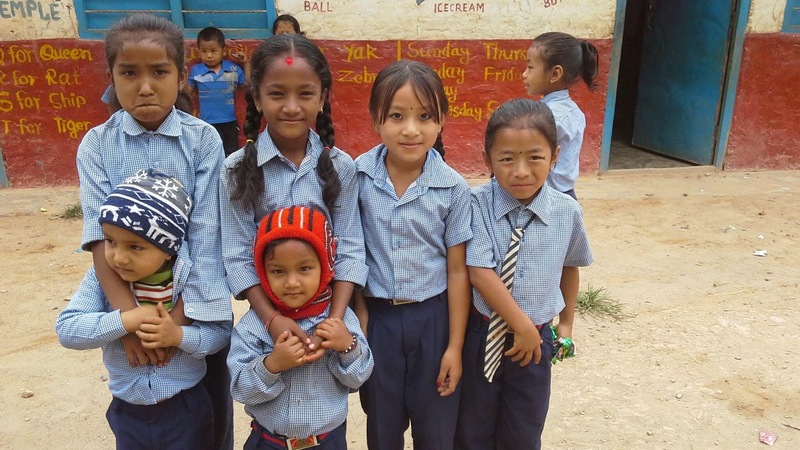 They have added two new classrooms, being used by nursery and reception classes, and new toilets since Manisha's last visit and the rooms are fantastic. Over the coming weeks we'll provide some resources and displays for the walls to make them look even better. It was great to see some local teachers in action and have some conversations with them about what they doing and how it compares to how we teach in the UK. The teachers we spoke to were very receptive to the new ideas and I'm looking forward to going back there and working with those teachers over several days. We looked in on some English lessons and introduced some role play, which the children were a little shy about at first, but they soon warmed up and began to enjoy themselves. The children were so enthusiastic about seeing us, especially when the camera came out! My first week in Nepal has been simply amazing. The magnificent views, the friendliest people, and the brilliant children have made it such an experience and I'm looking forward to the next six months here more than ever! The next school visit is tomorrow at Bhalebas Bhagwati and it can't come quickly enough. Note: This blog was meant to go up a few days ago, but a combination of storms, power cuts and flat batteries have delayed it a little. More on that and more school visits in the next instalment! Fantastic blog - know what you mean about being glued to the window!! Glad you're enjoying it and great to see some familiar faces in the pictures! !